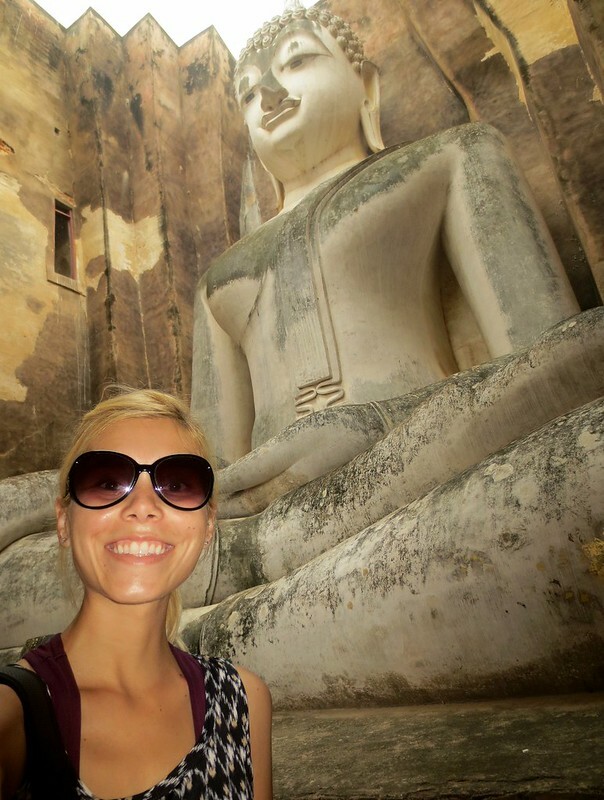 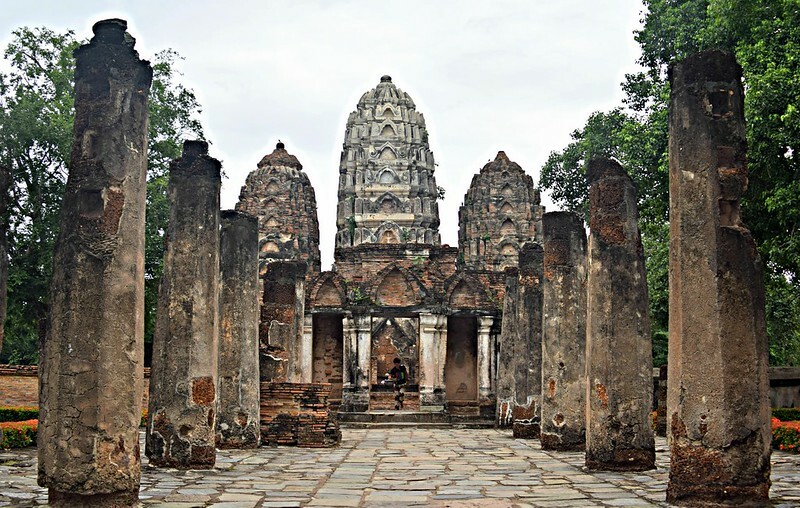 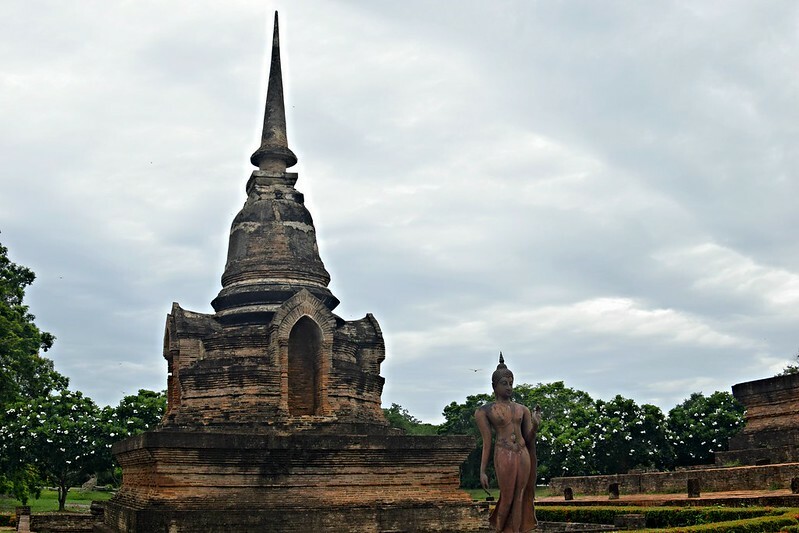 This past weekend I traveled north to visit the historical kingdom of Sukhothai. 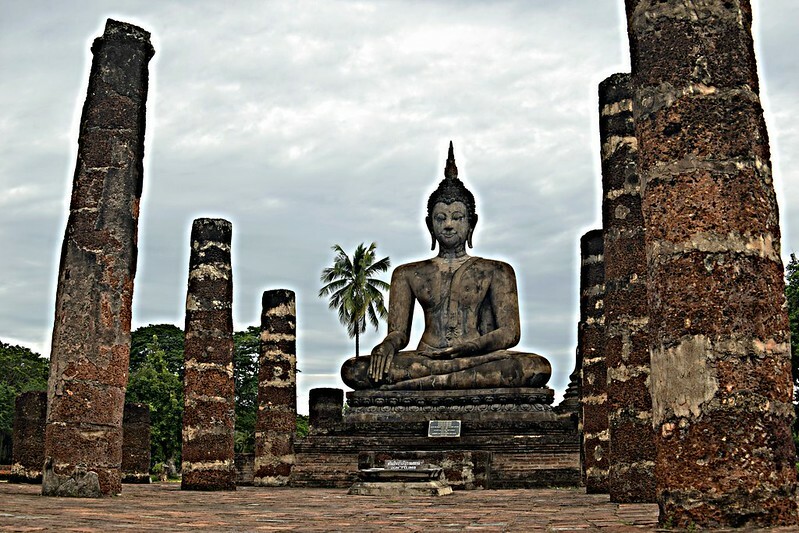 Anyway, I spent 7 hours on the bus to Sukhothai, mostly watching downloaded episodes of Making a Murderer, and arrived in town just before dawn. 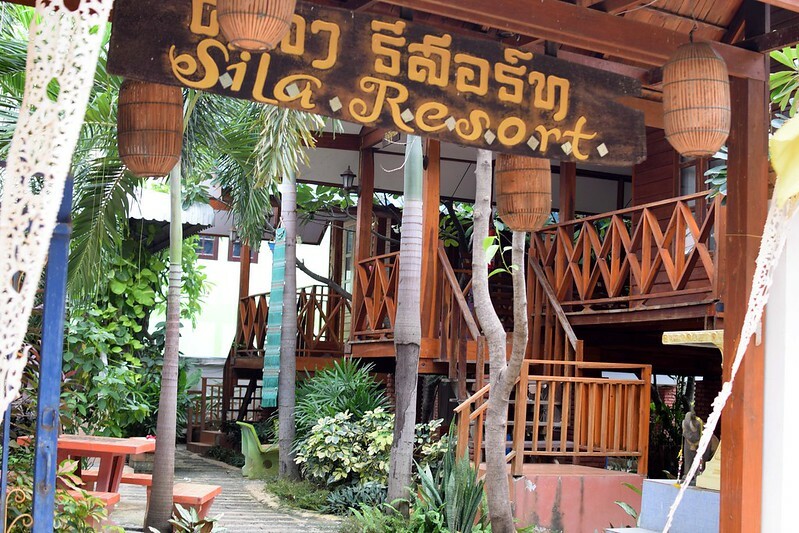 For two nights I stayed at Sila Resort in new Sukhothai, which offers single private rooms for only 6 USD. 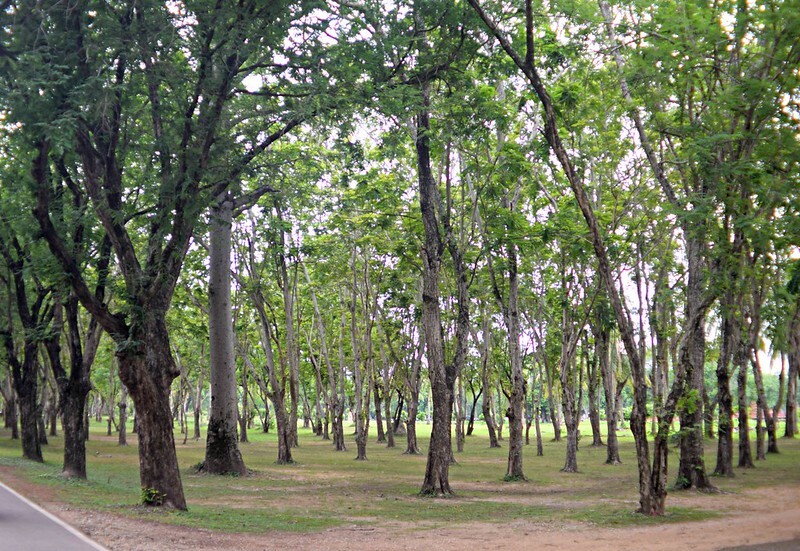 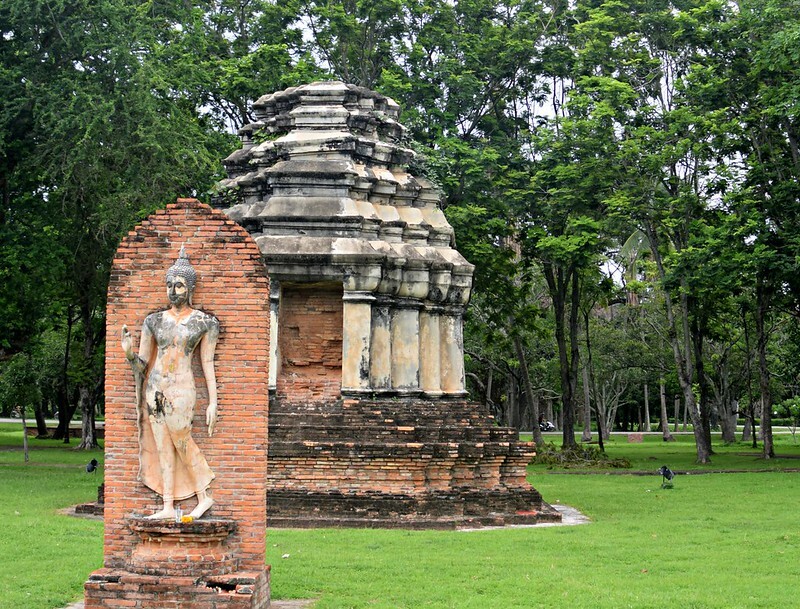 Sukhothai is divided into old and new town, where the majority of hotels are in new town and the historical sites are in old town. 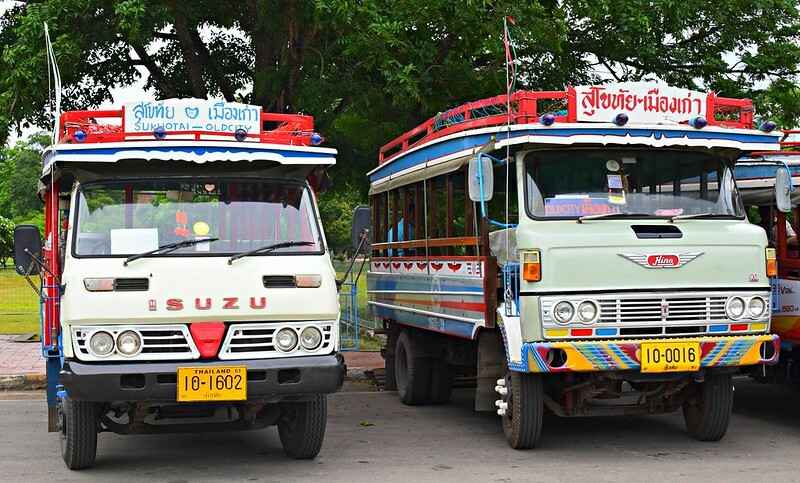 Since the towns are separated by 8 miles of barren roadway, I chose to take a bus to the Sukhothai Historical Park, for less than 1 USD. 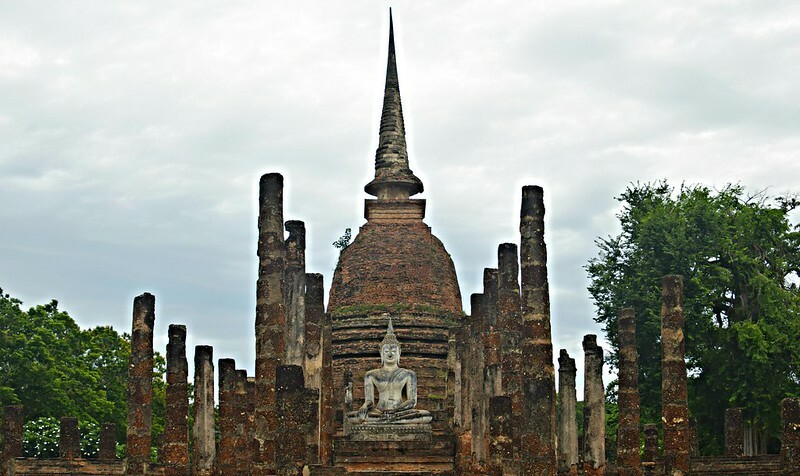 Sukhothai translates to “Dawn of Happiness” and this 13th century kingdom is considered the foundation of the Thai nation. 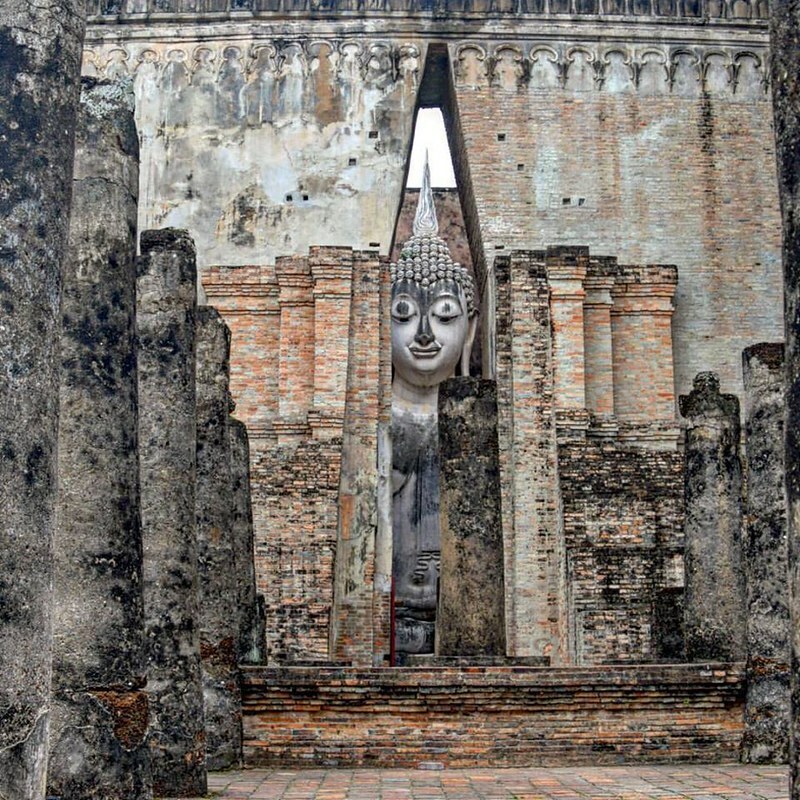 This Buddha is enveloped inside Wat Sri Chum, and sits prominently at over 50-feet tall. 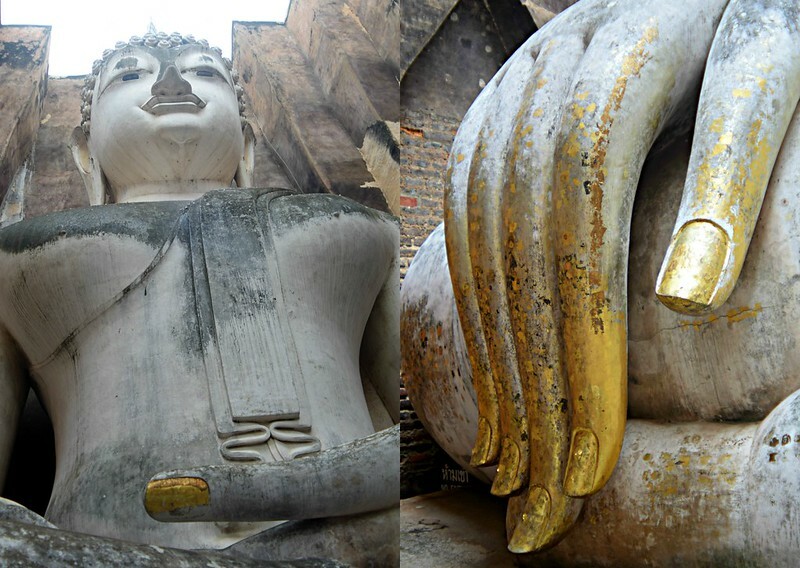 As you enter through a narrow passageway, you are confronted with this fearless towering Buddha, hands decorated in delicate gold leaf, outstretched to summon the goddess of Earth. 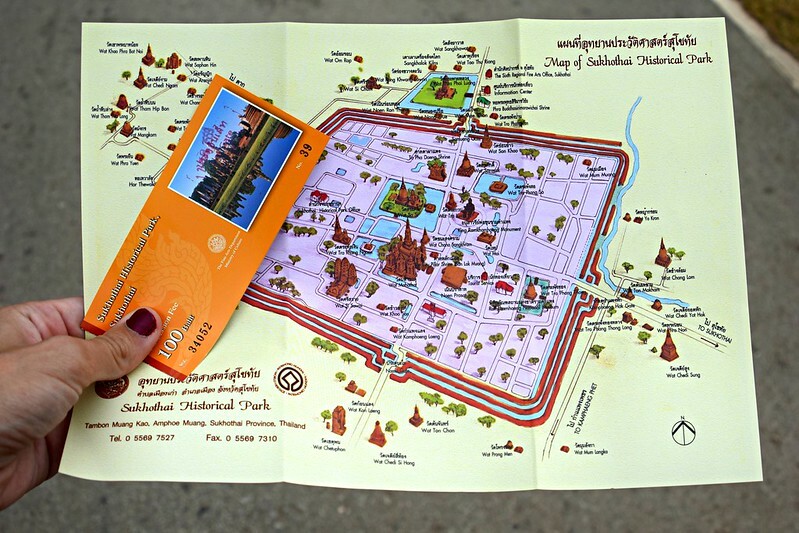 The historical park is divided into three sections, each section charges a 3 USD entry fee. 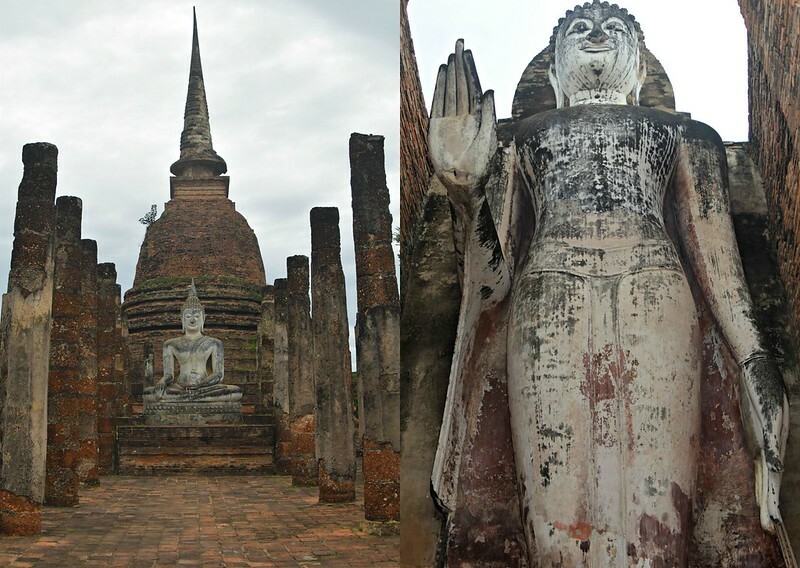 Other than the historical ruins of Sukhothai, I enjoyed a day wandering around the new town as well. 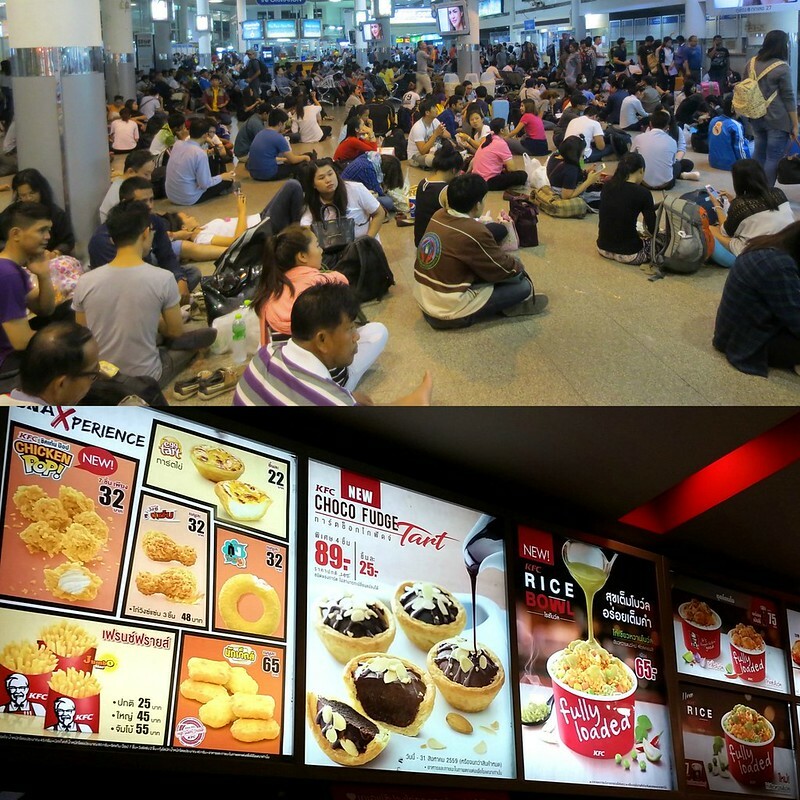 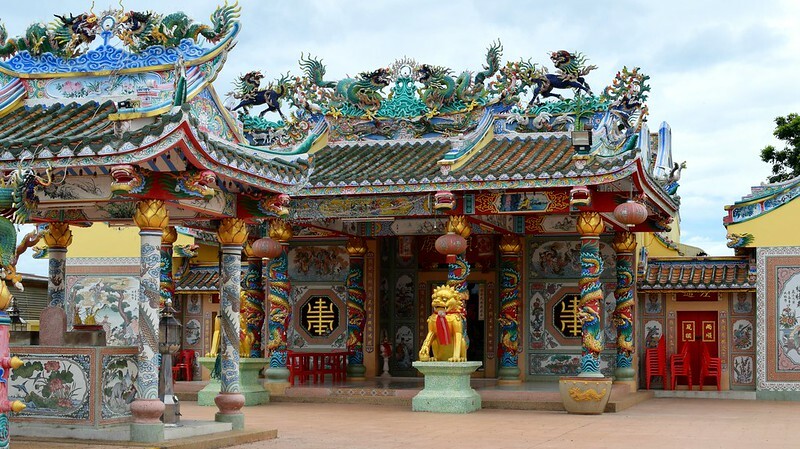 There is a strong Chinese influence in this province, which is noted in their architecture, and the citizens here all seemed very laid-back and welcoming to visitors. 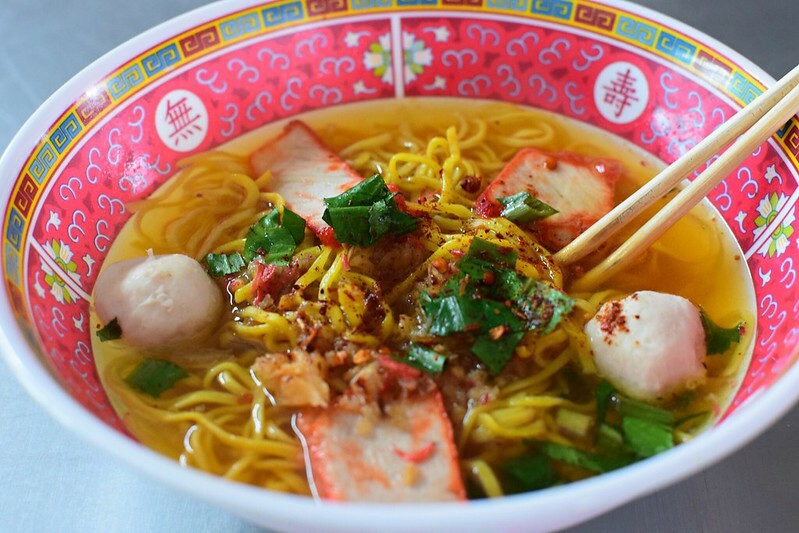 While in Sukhothai, I ate some traditional Thai dishes, like this noodle soup with pork and fish balls. 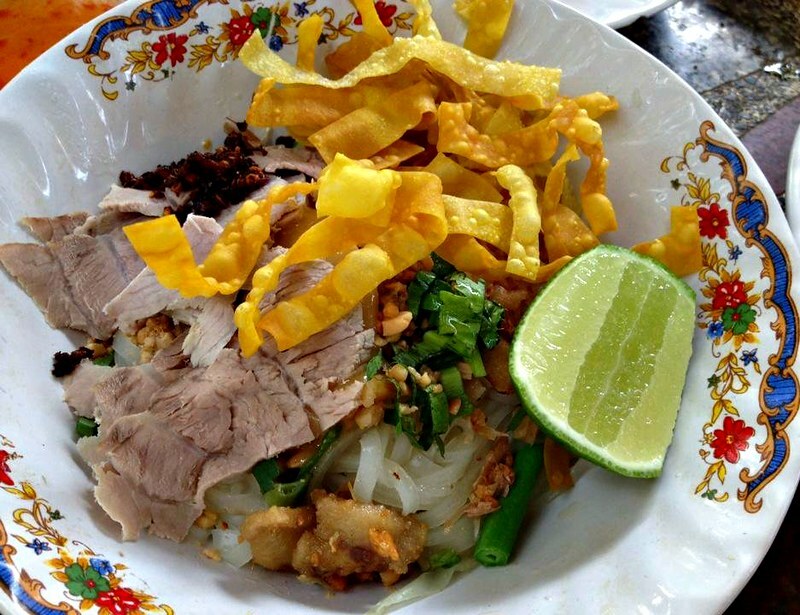 I was also able to try a dish unique to Sukhothai, thin rice noodles with pork and green beans, topped with peanuts, fried noodles, coriander, and chili, as well as, a ladle of salty pork broth. 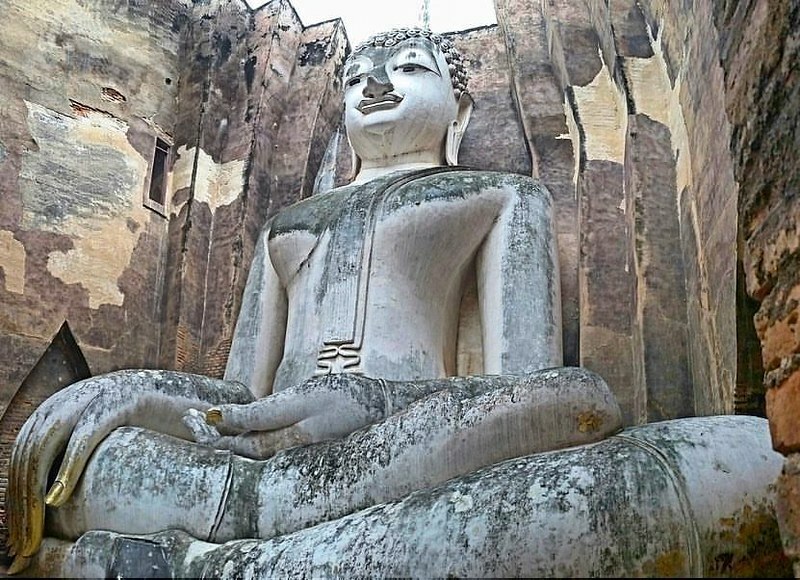 😀 Anyway, that wraps up another relaxing weekend getaway. 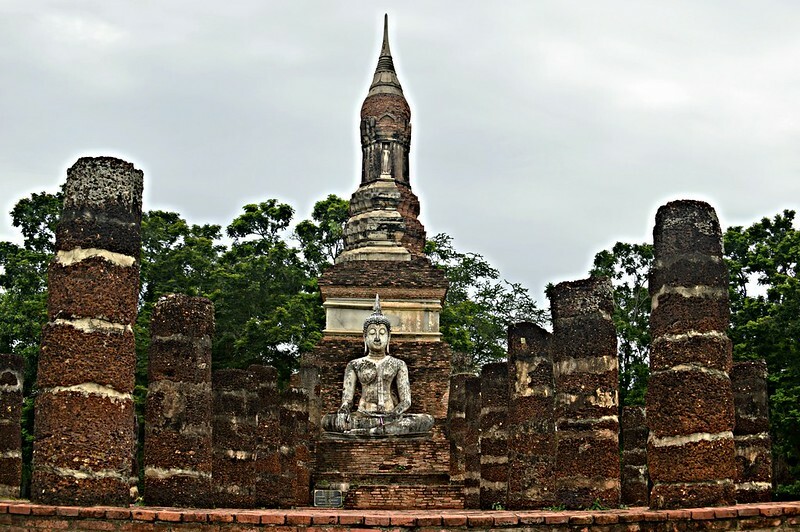 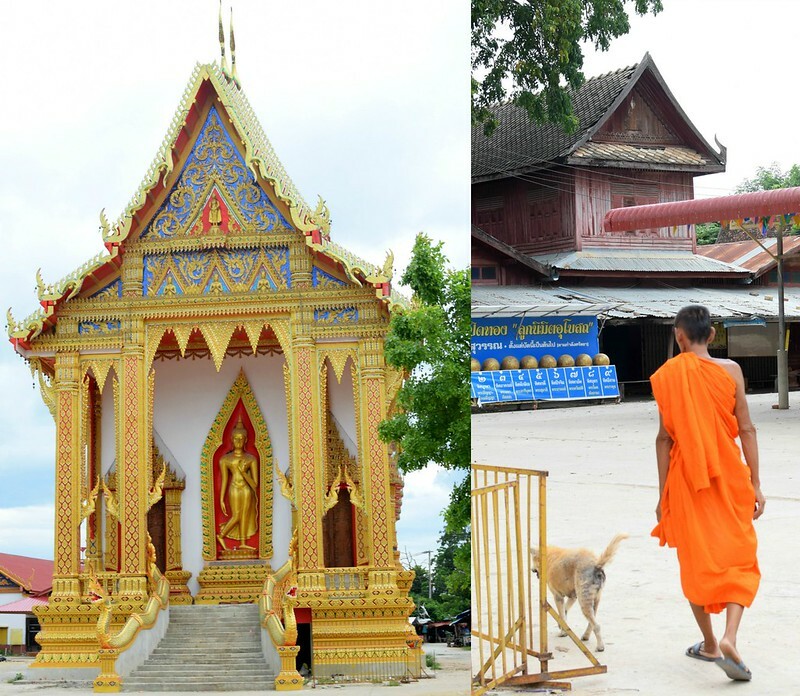 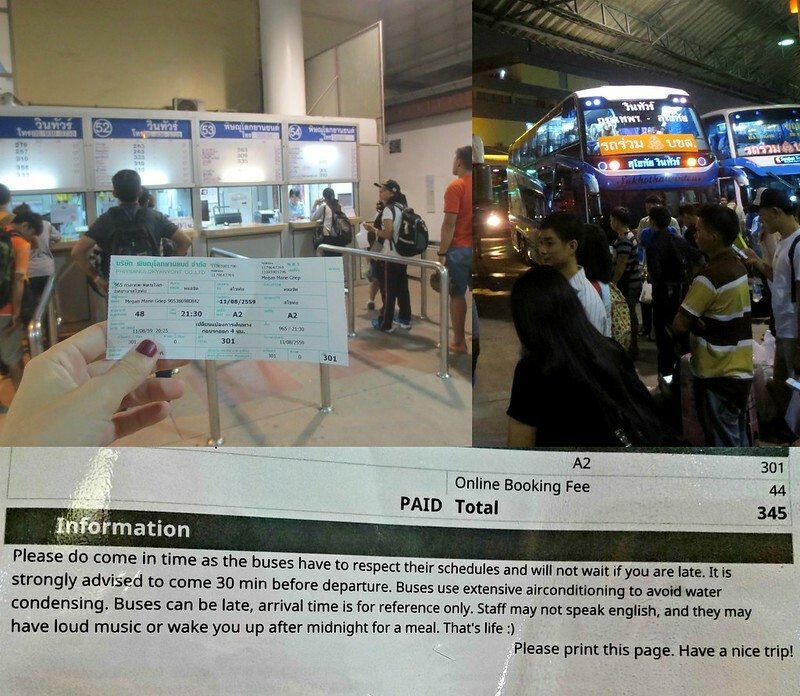 After two days in Sukhothai, I boarded a bus and made my way back to Bangkok.